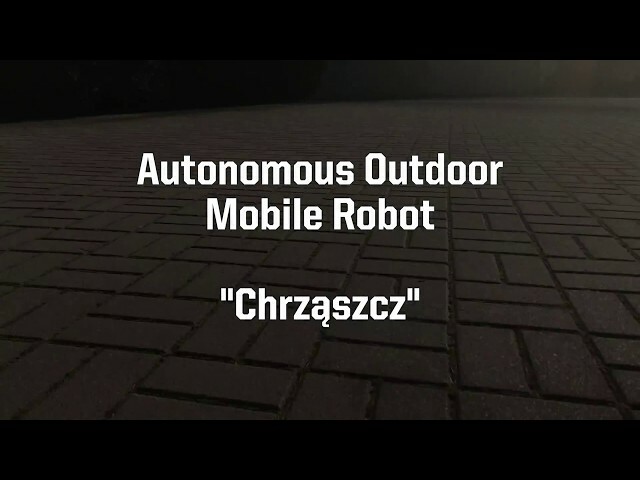 Chrząszcz is similar to autonomous cars. It is designed for competitions where robot has to go to location of known GPS coordinates. Destination point is often additionaly marked by orange cone. The arena of competition is place like park or academic campus, so robot have to recognize and bypass obstacles like humans, trees and even cars or buildings. This environment generates lots of issues which are not familiar for indoor robots. Project description is in the attached PDF document.